After two years of churning credit cards for sign-up bonuses, I’ve amassed quite a collection of cards. I’m almost embarrassed by how many I now have, but one great benefit of having so many cards is the ongoing promotions. With some companies you might save a couple dollars here, or get a discount there, but one company stands above the rest when it comes down to promotions for current card members: American Express. I have four different Amex cards and two of them will carry an annual fee starting next year. Normally, I would just cancel any card that carries an annual fee but Amex’s latest slew of promotions has really got me thinking. 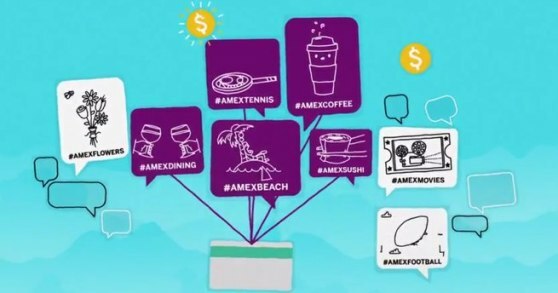 Most people know about small business saturday, but this summer Amex launched a huge promotion with Facebook, Twitter and Foursquare. Basically, the promotion requires you to sync each one of your cards to a separate social media account and either like, tweet or check-in to participating businesses. Through these promotions I’ve been able to take advantage of some awesome free money deals. All you need to participate is an Amex card, co-sponsored cards like the Citi Aadvantage AMEX and Costco AMEX will work, but prepaid cards won’t. One of the more recent deals Amex offered(goes until 9/16/12) was a $20 statement credit on a $200 purchase at Best Buy. Now at first I wasn’t too impressed with this offer because Best Buy tends to have some pretty jacked up prices already and the 10% savings would likely be negated by their inflated prices. But I learned about a simple trick that allowed me to purchase Amazon gift cards at a 10% discount. So here’s how it works. I love Amazon and there’s nothing like coming home to a giant box of paper towels with free 2 day shipping and no sales tax. In fact, I buy most of my household products on Amazon and a ton of other things so this promotion was perfect for me. Alternatively, you could just buy a $200 Visa gift card and pay the $5.95 activation fee for a total profit ($20 SC – $5.95 fee) of $14.05. 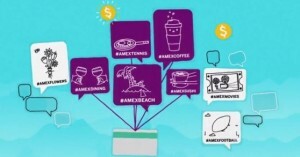 This is only one of the many deals Amex has offered this summer. There are tons more out there for you to explore. Some might require a little more work than this but I think it’s a lot of fun getting free money, so enjoy. AMEX/Foursquare – Get $5 statement credit at basically any small business when you spend $10 by checking in and loading the special. In your foursquare app, hit the explore tab and look for American Express Specials. There’s plenty more on Amex’s website so check them out. Readers, have you used any of these promotions this summer or do they seem like too much work? Seems like a cool idea but I don’t have an Amex card… maybe if I ever end up with one I’ll check this out again. I don’t think any of my current cards offer anything like this though. Yea Amex is by far the best with these promotions. But I know Visa Signature cardholders can get 2 for 1 fandango tickets on friday nights and there was a deal(just expired) that gave visa cardholders $10 for loading $25 or more onto their starbucks mobile app. I’ll try to post them on my twitter, thanks for stopping by. Bummer that prepaid cards don’t work. I was ready to sign up. I also doubt that my company would appreciate me hooking up the corporate card to my twitter. Thanks for the info though! Thanks…I’m going for the best buy deal. Great! Thanks for stopping by Jana. You could have done better in many ways. This deal in and of itself is no better than a 10% off coupon. Even printing a coupon to use with the deal would be more sensible, logistically speaking. Using sync, coupons and the Internet you could have gained at least an additional $30. Eric thanks for commenting and yes you’re right the deal essentially gets you 10% off at Amazon(I have never seen a 10% off coupon for Amazon.com, have you?) But you can’t use a coupon to buy gift cards so that wouldn’t work either. So I see a maximum savings of $20, not $50 like you mention, please tell me if I’m wrong though b/c I wasn’t a math major.